Acne is often associated with teenagers and puberty, but the truth is that you can get breakouts at any age. In any case, breakouts are one of the most annoying and most common skin problems in the world. They can develop on different parts of the body, such as on your face, neck, chest, back, shoulders and arms. When we hear the word acne, we often think of classic teenage breakouts, but various other forms also exist. You can read all about them here. Paula's Choice products allow you to fight breakouts in three simple steps. Start with a facial cleanser against breakouts. Then use exfoliants against breakouts and use one of our other creams against breakouts during the day. STEP 1: FACIAL CLEANSERS AGAINST breakouts With a cleanser from our collection, you can gently remove make-up and sebum. This reduces the chance of breakouts developing. STEP 2: EXFOLIANTS AGAINST breakouts When you use an exfoliant with BHA (salicylic acid), you purge pores and blackheads. At the same time, the exfoliants also have an anti-inflammatory and soothing effect. The result: fewer breakouts. STEP 3: CREAMS AGAINST breakouts During the day, protect your skin with a lightly textured Paula's Choice day cream with SPF. This prevents harmful sun radiation from contributing to the development of inflammatory reactions in your skin. 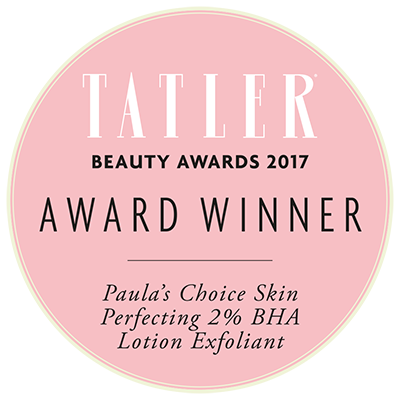 Also interested in buying Paula's Choice skincare products to prevent breakouts? Take a look at our products against breakouts. We offer the right solution for everyone. Are you ultimately unsatisfied or believe a different product is better for your skin? Return the product within 30 days and we'll pay back the purchase price.